The SFP-SX v2 is a high performance and cost-effective module for serial optical data communication applications specified for multimode of 1.25 Gb/s. The module is intended for multimode mode fiber, operates at a nominal wavelength of 850nm. 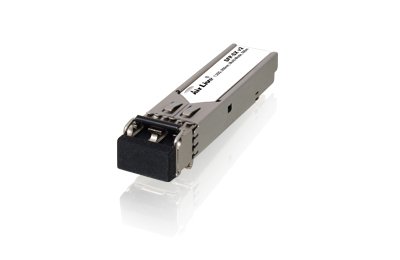 The module is a duplex LC connector transceiver designed for use in Gigabit Ethernet applications and to provide IEEE802.3z compliant link from 125Mbps to 2.125Gbps applications.